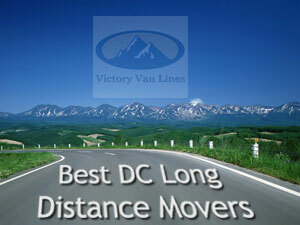 DC Long Distance Movers, Licensed and Insured. Searching for a fast and reliable moving company for long distance move ? Great Nation Van Lines is the perfect moving company for you. We are the best licensed and insured DC Long Distance Movers. As the best long distance movers we have a professionally trained moving crew which is ready to help you in any kind of situation. Long Distance Moving with our company helps our customers to relax and enjoy the moving experience much more. Fill our Quick FREE Moving Quote or call us on the phone on the top of the page to speak with our personnel about your moving. They will make a precise calculation of your moving cost without any hidden taxes or fees. We know that long distance moving isn't easy for our customers, but we do the best to help them relax and to have a stress free moving with our company. If you call us now or fill the Quick Moving Quote, we will send a team to do an on-site calculation of your moving cost and to help you if you have any questions about the moving procedure. Doing an on-site estimate helps us to do a precise calculation of your moving cost so that you will know how much will everything cost. We can provide you with a high quality moving services and smooth moving experience. Having a professional moving company handling your move is very important for a stress free moving experience. Using the newest moving equipment and a well trained and experienced men with professional skill makes us the most reliable and affordable DC Long Distance Movers. With us you will save even more when moving to a greater distance or coast to coast - you will be able to deduct your moving expenses from your taxes. DC Long distance movers are the best in the business. Using our services to do your long distance move will help you relax and get an easygoing moving from your old house to your new home. Great Nation Van Lines as a DC Long Distance Moving Company has team of movers waiting for your call to start your move. Also if you are interested in Local DC moving, Virginia Beach Moving, moving from Durham NC, DC area moving companies or New York and Boston moves. Check out our interesting pages.